After a long break, a finally had time to post a freehand nail art here, on my blog. Of course I've never stopped doing handpainted manicures, but sadly I don't have that much of a freetime as I used to have, so I post only 1-2 pics of my manicures at my Instagram. I choosed this loose holo glitter set for review mid-late Summer from Born Pretty Store, with the strong plan to create a tropical glitter placement nail art. Well, Summer is gone, also the 12pcs set that I recieved didn't contains any kinds of true green glitters (while the promo pics on BPS have 2 colors of green plus a turquoise), so I had to figure out another pattern to use it for. I have two Bundle Monster products to talk about. I used both of them quite a lot, so my opinion formed fully. I'm so excited to show you the new Delush Polish collection, because it's one of the most gorgeous collections I've ever seen. I couldn't pick a favorite, because I love all the shades, and this is really rare for me. And of course the theme of the collection is perfect as well, the shades were inspired by Game Of Thrones male characters. Today I have the entire Zombieland collection from Dollish Polish. The collection was inspired by the movie Zombieland, which is one of my favorites from the horror-comedy genre, I even rewatched it in the past, which is really rare for me. Ever since I got the collection I have the urge to rewatch it again, but sadly I didn't had time, but maybe on the weekend! There's a new, and pretty feminine collection coming up from Polished For Days. I've never tried this brand before, so it was twice as exciting to see how they perform. Once I tried all 8 shades, I pretty much fell in love with this brand! I have a pretty long - but hopefully fun - post about some Bundle Monster products. I have the 10 pcs Hangloose stamping plate collection, plus two stamping polish sets to show you today. I have the entire Fall 2016 collection by KBShimmer to show you today. These were sent to me by the webshop Color4Nails. KBShimmer always has amazing formulas, and these were just as perfect. Now let's see all 12 shades one by one! Four gorgeous Femme Fatale Cosmetics polishes launched today, they are available exclusively at Hypnotic Polish. Femme Fatale is one of my favorite brands, they can make me love a barbie pink, so today I'm totally useless, I have nothing but adoration towards this 4 shades. 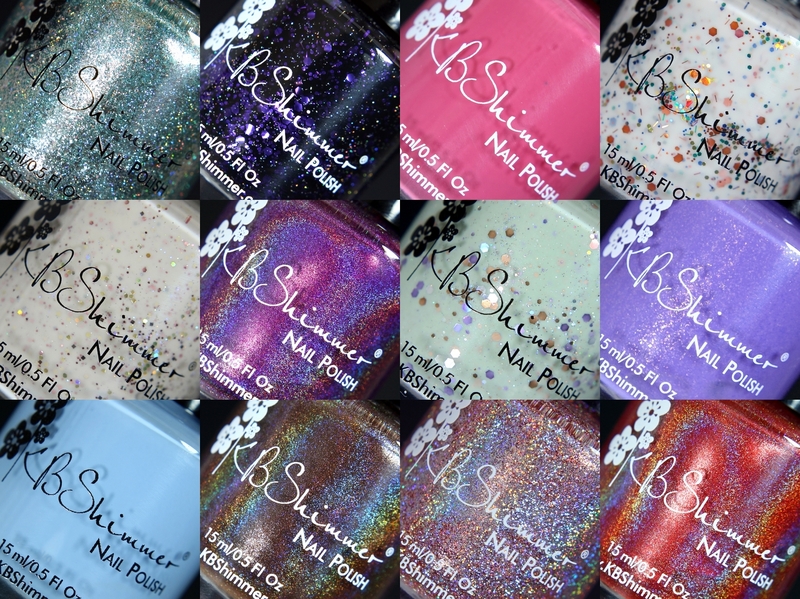 New brand is on my blog: Dollish Polish. I follow them for a long time, I always loved the inspiration behind their collections, which is mostly horror, which I'm a big fan of. Today I'm going to show you the "Why Can't Everyday Be Halloween?!?" polish for September and the annual The Walking Dead shade.